May is a big month – What’s on your calendar? May is a month filled with important celebratory and memorial days. Do you have a favorite? Another is Cinco de Mayo – “a celebration held on May 5. The date is observed to commemorate the Mexican Army’s unlikely victory over French forces at the Battle of Puebla on May 5, 1862, under the leadership of General Ignacio Zaragoza”. Then there are several that memorialize national defense issues and those who serve the public. Take for instance May 2nd; National Explosive Ordnance Day. May 6th is Nurses Day and May 8th, is Truman Day. May 11th is Confederate Day, which is observed in NC and SC. Then there are National Defense Transportation Day, Peace Officers Memorial Day, Armed Forces Day, Emergency Medical Services for Children Day, National Maritime Day and the big one, Memorial Day; “originally called Decoration Day, is a day of remembrance for those who have died in service of the United States of America”. But, we should not forget two other significant memorial dates on our calendar. What’s the point? Simply this, it is good for us to remember the days, folks and events of the past that have added life, value and meaning to our lives, today. It is true, memorials, reminders and memory is good. Prayer is good, Moms are great. But a greater day of memory is coming. Yes, the future, a “day” of reckoning is coming. Mark it well; to make a memory, you must first make an event. Everything on the May calendar proves that something happened years ago, an event or events, that produced a memory. The “event” I am talking about is the transaction of your commitment – that you ask Jesus to forgive and save you. That is the event, that is the marker of memory; it’s called making a commitment – heart to heart, your heart to His. He already gave you His heart at Calvary. It’s your turn now. And if you make that commitment now, please let me know. I would like to play a role in helping you to grow in Christ. 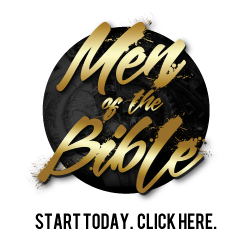 That is what we do, at Master’s Men, help men know Jesus and grow in their relationship with Him. It my/our greatest honor – to help others toward a great memory.